Fill a tumbler full of water from a waterfall cascading from rocks hundreds of metres above your head on a scenic cruise of the Milford Sound and you will know what it really means to be a New Zealander. Taste its pure flavour and you'll know you're in the Milford Sound. The scale of the landscape in Milford Sound is phenomenal. Large cruise boats look extremely insignificant against the grandeur of Mitre Peak and the walls of this mighty fiord. Its steep rock walls plunge vertically for hundreds of metres both above and below the water line, allowing cruise boats to maneuver beneath the falls. In 1986, UNESCO bestowed World Heritage status to this region in recognition of its "superlative natural phenomena" and "outstanding examples of the earth's evolutionary history." This description is not lost on international visitors who flock here from all over the world. Neither is it lost on locals, no matter how often they have visited. 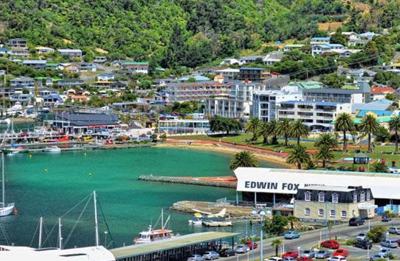 There’s a wide array of cruises on offer in Milford — ranging from scenic cruises and extended daytime cruises with a nature guide, through to overnight excursions with the option of exploring by kayak or tender craft. 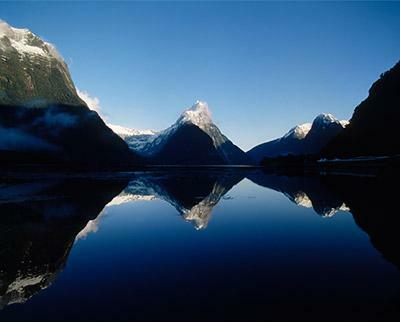 However, Milford Sound is not only remarkable above the water, it also has a unique marine environment. This underwater world is most easily viewed from the Underwater Observatory. It features a spiral staircase that descends for more than seven metres under the water surface to an observation deck. The deck is fitted with windows to view rare marine life such as Black Coral, which occurs much closer to the surface than deemed normal, thanks to a layer of fresh tannin water which filters light. For those who wish to get right amongst it, there's also the option to take a guided dive, or explore the grandeur of this magnificent sound by kayak.